When sight-seeing in Japan you might find yourself walking A LOT and so it’s very important to keep yourself hydrated and sufficiently fuelled for the day. You might think that you can just go to any restaurant or shop when you’re hungry. But what I found was that often there aren’t always restaurants or cafes where you’re going. And if the place you’re going to is particularly touristy you might not be able to get a seat right away (especially if you’re with lots of people). 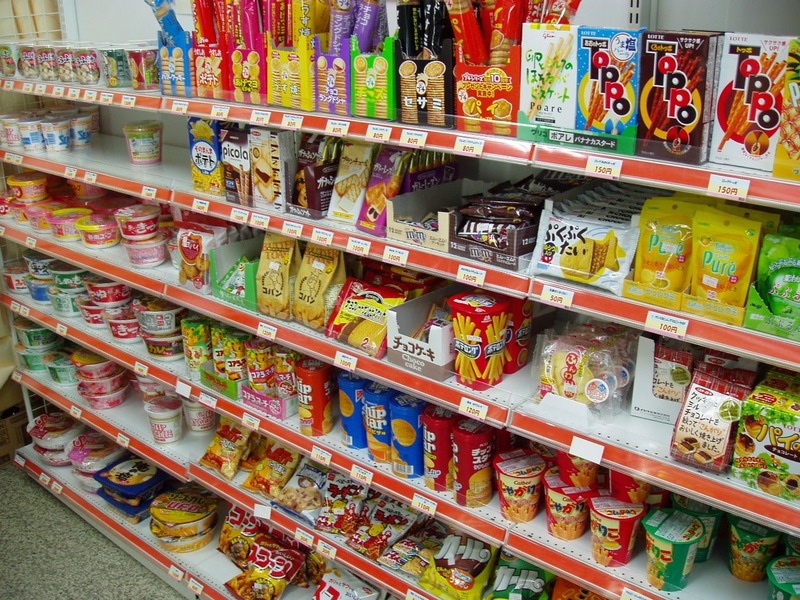 This post is about rationing food and the best things to eat from convenience stores when out and about in Japan. 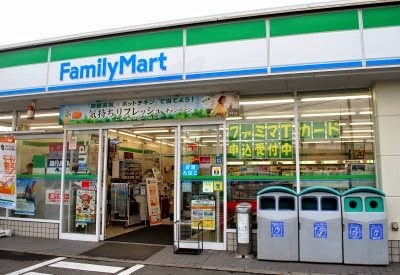 First of all it’s good to know where the nearest convenience store or super market is to your hotel/hostel. Often breakfast won’t get served at the place you’re staying so you’ll need to plan your breakfasts in advance. This is particularly important if you’re going to be spending the day sightseeing. So once you locate your nearest convenience store it’s good to stock up on some food for breakfast and to carry around with you for lunch. What can I eat? I don’t understand the moon-runes! In terms of costs food from a convenience store can range from 100yen ($1) for a roll or rice ball to about 600yen ($6) for a meal. 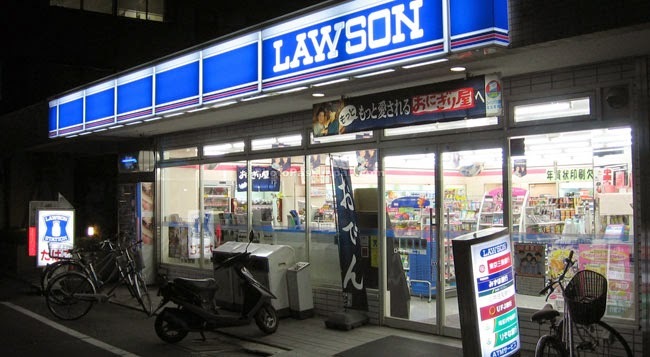 So if you can’t read Japanese characters (or moon-runes as my friend says) it’s going to make picking up food from convenience stores…interesting. There are often foods that are clear what they are because they have pictures (such as square crust-less sandwiches). Or ones where you can just see what’s inside them (like other sandwiches). 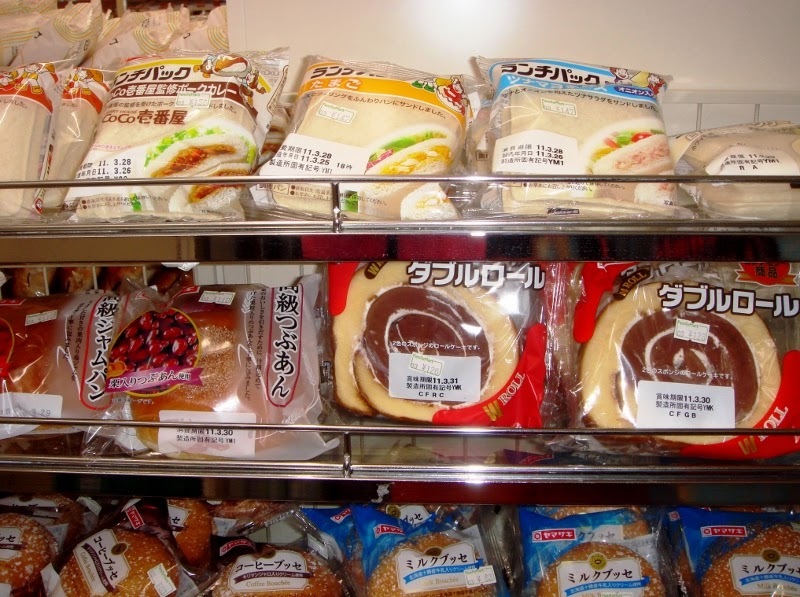 The image on the right shows some of the bread selections with sandwiches on the top; anpan (bun filled with sweet bean paste, and my favourite food in Japan) and cream swiss rolls on the second, and rolls with mysterious creams like ‘milk cream’ on the bottom. Japan has an interesting use of flavours that you might not be used. But give them a go and you might be pleasantly surprised. Breads are one of the best thing to have for breakfast in Japan (maybe lunch too, but be careful about them getting squished in your bad), but bread in Japan is often going to be sweet. Even plain bread is sweet. If you’re not a fan of sweet things onigiri might be your best bet. Onigiri, or rice balls, are hit and miss. It really depends on what you like and how willing you are to gamble if you can’t read Japanese. This is because most rice balls will not have pictures and might not even have furigana and ONLY kanji. So if you do know some Japanese texts you’re still screwed. I ran into the problem of always picking up fish egg onigiri (harako), which personally I hate. I do recommend kelp (konbu) if you can find it. 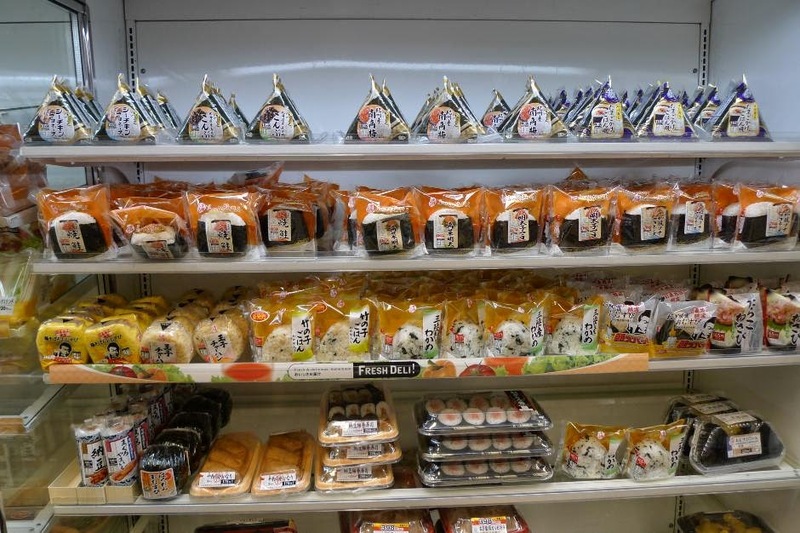 But if you look at the picture on the left you can see that besides rice balls there are also take-out sushi boxes! You can clearly see what’s in these which makes it easy to find something for lunch if you can’t read Japanese and don’t want to gamble. Finally, if you want a proper meal you can choose from some of their pre-cooked meals like katsu-don (pork cutlet with egg over rice), or omurice (omlette with ketchup rice in the middle). Or they do salads if you want to be healthy. If you get a meal they might ask you “atatame-mashou ka” really quickly at the counter. This means “would you like it warmed up?”. As a general rule I will always say “yes” because it might be that you want it warmed up or they be asking if you want chopsticks. Those are pretty much the only 2 questions they’ll ask besides saying how much something is. And then there are general snacks and crisps/chips. Basically you won’t know what it’s like until you’ve tried it. Experiment with these because 90% of the time they are really really good. Where to eat your packed lunch! Do not eat while walking please! It’s considered rude, mostly because no body wants to see you nomming on your food right in front of them. If you can try and find a park or a bench to sit down at and eat your food. Otherwise you can stand still on the side of the pavement out of peoples way. 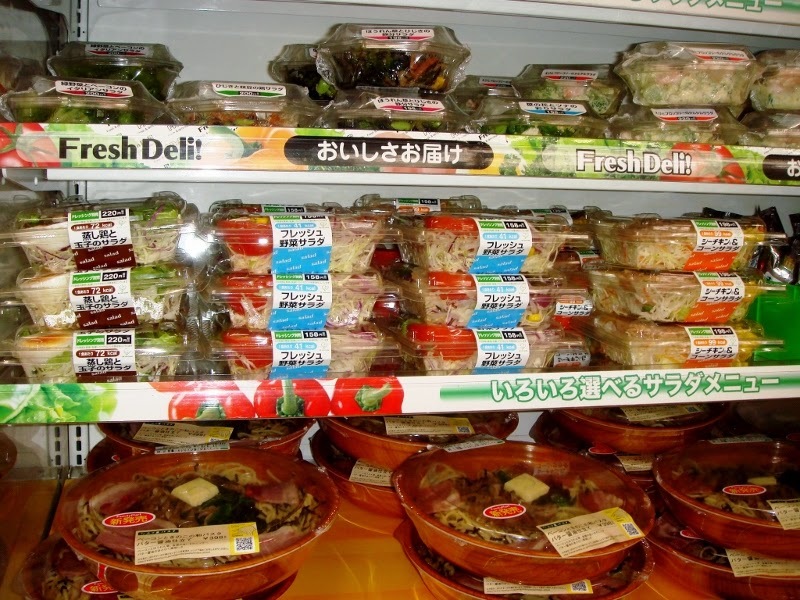 Salads: Healthy food in Japan is hard to find when you’re on the go. Keep yourself healthy by getting salad. Breads: These are great to start the day because of the calories and sugar. 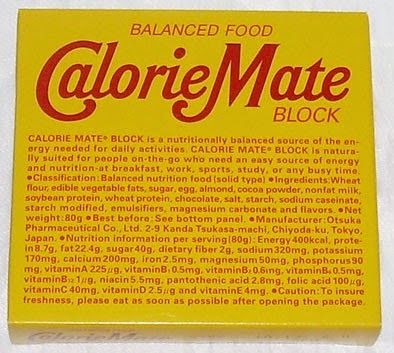 Calorie Mate: If you’re on the go and you just need a snack or feel sick because you’re hungry Calorie Mates are great at settling your stomach and getting nutrients in you. 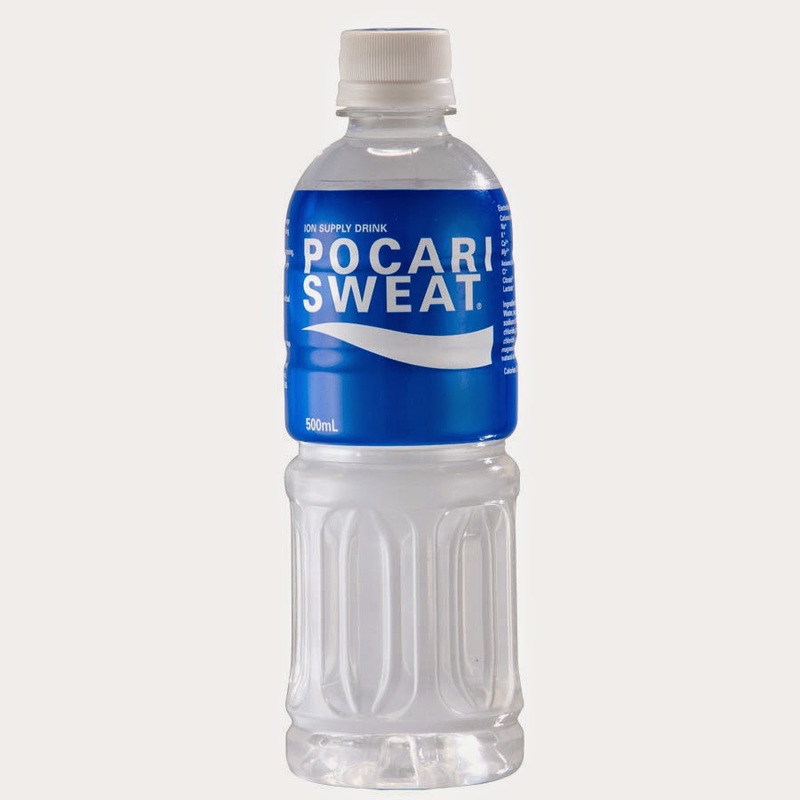 Pocari sweat: I drank this when I had a cold and when I got heat stroke because it re-ionises and re-hydrates your body really quickly. Water: Avoid sugary drinking and keep hydrated with water. Milk tea: Tea in Japan is only sweet and very milky, but great for a caffeine boost. Boss coffee: Or any coffee but my friends swear Boss is the best. Great for caffeine boost. Stock up in the morning or night before with food and drinks for the day (you don’t know if you’ll be near anywhere to get food). Drink regularly (especially if it’s summer). Eat at regular times (to help your body get over jetlag). Tagged Japanese culture, Snacking in Japan, Visiting Japan.